A historic American milestone in red roses that's still hard to beat. 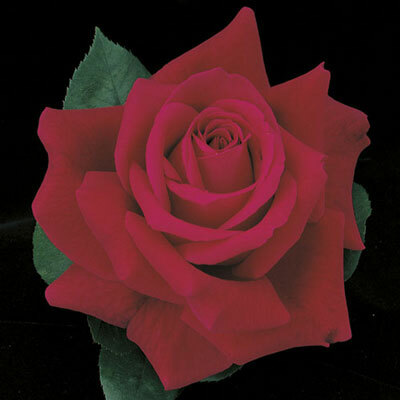 The large pointed buds and rich red well-formed blooms have a velvety quality that you must feel to believe. The powerful damask rose fragrance seduces even the hardest heart. Vigorous, tall and proud with long stems & dark green leaves. Likes consistent warm days & cool nights.